Your salary is a lot like investing — where you start affects your total return. Start a job at $45,000 a year instead of $55,000, and if your raises are percentage-based or if your salary in a new job is partly based on your previous salary, over time the aggregate loss on incremental gains can be huge. How huge? “I tell my graduate students that by not negotiating their job at the beginning of their career,” says Linda Babcock of Carnegie Mellon University, “they're leaving anywhere between $1 million and $1.5 million on the table in lost earnings over their lifetime.” And that figure doesn't include company retirement contributions based on a percentage of salary. That's why negotiating your salary matters, especially if you're a woman. The following is a guest post from Courtney Seiter, a content crafter at Buffer, a tool that makes social media sharing smarter and easier. She offers up ways for women to smartly ask for more money and to cement their future. Women generally negotiate much less than men do, which can hurt them a lot over time. A study of graduating university students found that only 7 percent of female students attempted to negotiate an initial job offer compared with 57 percent of men (Babcock & Laschever, 2003). This created a starting salary difference of 7.4 percent, and over time, even small differences in starting salaries can lead to substantial gaps. Asking for a raise is another hurdle that can be tough for women. Another survey by Elle magazine found that 53 percent of women had never asked for a raise, compared with 40 percent of men. But there's also good news: The same survey found that 89 percent of men and women who tried to negotiate a higher salary when starting a new job were successful. So why don't women negotiate job offers and ask for raises? Often women worry that asking for more money will appear pushy or damage their image. Research shows they often are right to have that concern. In one experiment by Babcock, viewers watched videos of a man and a woman asking for a raise, using an identical script. Viewers liked the man and agreed that he should get a raise. The woman was successful in getting the money, but, overall, viewers did not like her. They thought she was too demanding and aggressive. Additionally, there's a cultural stigma in many places in the world attached to talking about money openly that can make things even more challenging. More companies are opening up their data and revealing unequal wages for the same work, which shows how big the problem is. 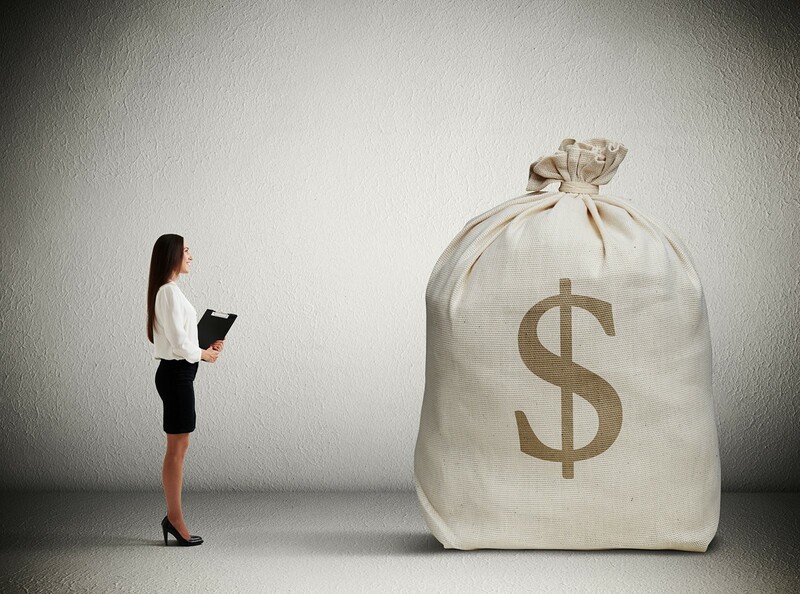 When all men are compared to all women, women earn 25.6 percent less than men, studies show. Friends: Start a casual conversation. Did they negotiate at their current job? If so, how? Did it work? Share numbers if you feel comfortable — this can be so illuminating, even if they're in different industries than your are. Networking organizations: Find co-workers or peers in organizations within your industry you can ask. If you're not comfortable saying that you're doing research for yourself, you can say you have a friend looking to get into the industry. Recruiters: They do this for a living and likely have a good idea of ranges. Set up an informational interview and find out what they're seeing in the job market. Job boards: Some offer pay ranges for jobs in your field. The better women are at negotiating (and the more often they do it), the more the biases that create these pay disparities will break down. There are plenty of other negotiating tips out there, but there's one big one that really stands out: Make it about more than you. In an experiment at the University of Texas, men and women were asked to negotiate a starting salary for themselves, then to negotiate on behalf of someone else. When the women negotiated for themselves, they asked for an average of $7,000 less than the men. But when they negotiated on behalf of a friend, they asked for just as much money as the men did. This is called “communal orientation,” and it can neutralize the negative consequences that women can encounter when they negotiate. Often it's more acceptable for women to negotiate with others in mind because it creates an impression of caregiving. When you're negotiating, think of the people your salary supports and frame your case as supportive to the organization. That might make you feel less self-conscious and more confident. And, it's also nice to think about the ways your work helps others.